Synergy Mortgage is powered by The Mortgage Firm, one of the largest private mortgage lenders in Florida. We are a direct lender that provides a variety of home loan options with competitive rates. Whether you are a first time buyer or repeat buyer, we have the knowledge you need and the service you deserve! Loan amounts available up to $417,000.00. Jumbo fixed rate loan programs available for loans over $417,000. 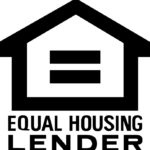 Federal Housing Administration Loan (FHA) to assist borrowers who may need a low down payment and flexible mortgage guidelines. 3.5% down payment required – Can be a gift! Seller can contribute up to 6% of the borrower’s closing costs. An excellent loan that is exclusively available to those that are currently serving or who have previously served in the US military. Surviving spouse may be eligible as determined by VA.
100% financing available to qualified borrowers in USDA eligible areas. Seller can contribute up to 6% of the borrower’s closing costs..
Income limits and property restrictions do apply. Visit USDA website for more information.